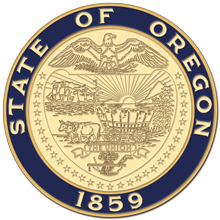 Salem, OR—Please remember to vote in Oregon's 2018 Primary Election and encourage your friends and family to vote, too. Historically, voter participation has been relatively low in non-presidential primary elections, which means that the voters who do turn in their ballots have greater influence. In order to help level the playing field, for the first time ever, the Voters' Pamphlet includes statements from all eight of Oregon's political parties. In past primary elections, only the two largest parties were permitted to include statements in the Pamphlet. I changed this practice because it was not fair. In nonpartisan contests, the information on candidates for these important statewide offices is listed toward the end of the Voters' Pamphlet. In addition to the three contests described above, there may be local issues and candidates that appear on your ballot. If you are going to mail your ballot, please give yourself plenty of time for it to arrive before 8 p.m. on May 15. If you prefer to deliver your ballot, you can take it to your county elections office or go online to find the closest ballot drop box. All ballots must be physically received by your county elections offices (or in a drop box) by 8 p.m. May 15. Postmarks do not count.